Our speaker this evening is Professor Charles Munn who has written a biography of the Reverend Henry Duncan and will tell us the story of his life and times. 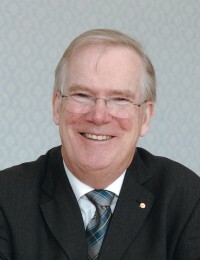 Charles has had a distinguished career in banking and was for 1988-2007 Chief Executive of the Chartered Institute of Bankers in Scotland and served for a time as president of the European Bank Training network. Prior to that he was a university lecturer. He served as a member of the Scottish Qualifications Authority and of the Quality Assurance Agency for Higher Education. He is an Honorary Professor in the Universities of Glasgow, Stirling and Dundee. He was also Chairman of the Church of Scotland Special Commission on the Purpose of Economic Activity and presented the Commission’s findings to the Church’s General Assembly in 2012. He also writes business history. Leaving School at 16 Charles spent three years working at a branch of the British Linen Bank in Govan. At 19 he left the Bank and enrolled at Strathclyde University studying Economics and Economic History He undertook a PhD at the University of Glasgow and went on to become a senior lecturer at the University.